Custom Client Care Package for Today's Home Stagers! 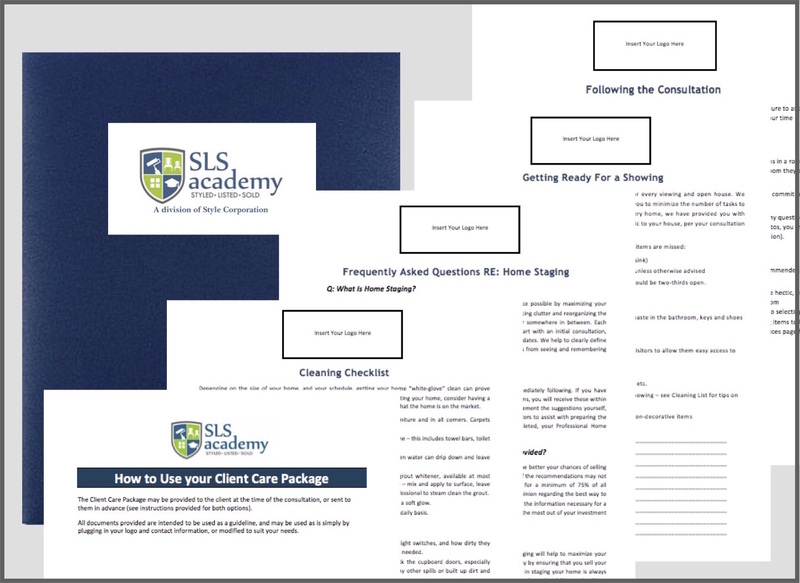 The Client Care Package is an informative package that can be provided to all of your home staging clients. Wow your clients with tips and checklists while upselling your additional services! For customizing your package, as well as how to maximize the impact of the unique offering for your client - be ready to go in minutes and set yourself apart from the competition! Add value to your written consultations! This package will allow you to easily address your standard recommendations, while customizing each consultation to the unique needs of your client. By far our best-selling product, this package is designed to provide your clients with lots of tips and checklists to enhance their consultation experience (regardless of whether they are selling a vacant or an occupied home). It also helps to provide information about what home staging is, and how your process works, AND (this is the best part) it UPSELLS your additional services. It covers the "generic" stuff, such as what and how to clean, getting ready for a showing notes, the hidden areas that they need to clean, and more. This allows you to spend less time saying the same things over and over, and more time creating a custom report geared directly to their specific home. In fact, you have probably thought about creating something like this yourself, but were overwhelmed with where to start, and frankly, why reinvent the wheel? All documents provided in (.doc) format are completely customizable with your logo and contact information - ready to use in minutes! Use the complete package on every consultation (as outlined in the included tutorial) for maximum impact! Includes FAQs, Cleaning Checklist, Getting Ready for a Showing, and more! Includes Vacant FAQs, Preparing Your Vacant Home for Staging, and more! Utilize the educational inserts as outlined in the instructions provided, or as individual giveaways. These may be used as a free giveaway for your opt-in campaign, live event, or other promotional use! "Your client care package is packed with valuable and important information that is nearly impossible to cover in a typical consult. There are so many reasons this package is helpful but to list a few: it sets a stage for kindness, what to expect from the consult as well as explaining ways we can help after the consult- all this before we've even stepped in the door." NOTE: Product is compatible with Microsoft Word 2007 and later versions. If you are using an alternate software, you may need to do some re-formatting. 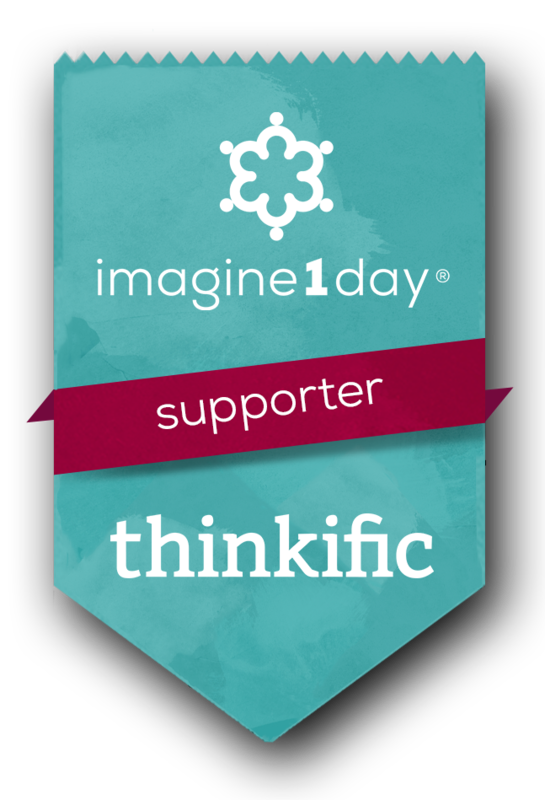 SLS Academy is a proud sponsor of Imagine1Day - a portion of all proceeds from all sales is donated to support this great cause. I have enjoyed putting the packages together and excited to launch with my clients. This is certainly a game-changer and value-add. This is a great way to stay top of mind with my clients, add value for my Realtors. I just started using the Client Care Package and just wanted to say, I love it. It is so easy to customize, even for me! thank you Shauna and SLS academy for creating this. Thank you for all your guidance and this information. This experience has truly been inspiring & it has ignited something inside of me to create great & beautiful things!